Homemade food is not only nutritious for you and your family; it also keeps your pets healthy. This is especially true when you have puppies. Puppies go through a period of rapid growth and development in which it is vital they receive a balanced nutrition. During their growth period, puppies need high caloric content and the right nutritional supplements to build strong bones and teeth. This helps in adding muscle and providing them with all the energy they need to learn, play and grow. 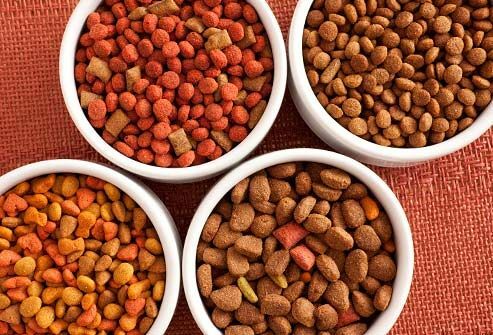 Commercially manufactured dog food such as dry kibble includes fillers, meat by-products, and a host of other unwanted and unknown ingredients. This is why a great alternative to canned pet food is homemade, organic dog foods and treats. 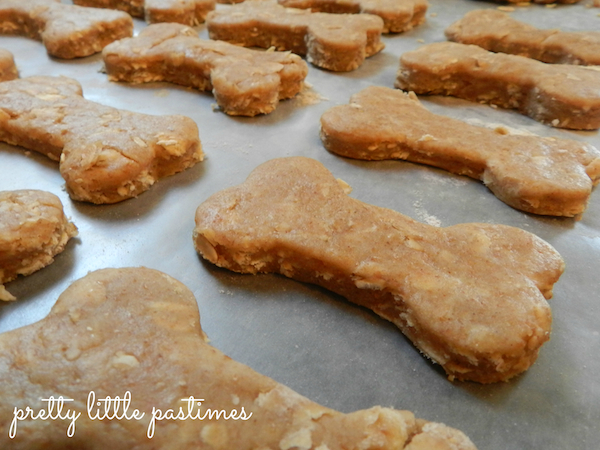 Homemade dog food and treats are an excellent way for you to provide your dog with healthy and nutritious foods. By making the food yourself, you can control what ingredients your dog is consuming. What’s more, if your dog has allergies and intolerances to certain types of ingredients, you can avoid them in the foods that you cook for them. The result is treats and foods that are fresh, nutritious, and a much healthier alternative to store bought foods. Listed below are ten recipes for organic treats and homemade dog food that you can try out for your puppy. You’ll be hard-pressed to find a puppy that doesn’t get excited at the prospect of treats. The mere sight of a delicious, crunchy biscuit shaped like a bone is enough to send their little tails into a frenzy. Homemade, organic treats are loaded with a variety of healthy and delicious ingredients such as vegetables, fruits, meats, and whole grains. These treats can also help keep your puppies healthy if you stick to ingredients that are low-fat, organic, and have a low sugar content. You’re not the only one who can’t get enough of peanut butter: dogs adore peanut butter, too! Make sure you buy organic peanut butter, or, better yet, whip up a batch of freshly made peanut butter yourself. Just like babies, puppies need a healthy dose of vegetables, too! Sweet potatoes are an excellent source of dietary fiber and contain vitamin B6, vitamin C, beta carotene, and manganese. Muffins are a great snack, especially on the go! The same holds true for puppies. At this age, your pup is likely to be bouncing all over the place. That’s why it’s great to have a few of these muffins handy which are loaded with fiber and energy for your pups. These delicious, freshly prepared strips of chicken jerky are packed with protein for your growing puppies. They’re also chewy, and therefore are a great snack for teething puppies. Allow the strips to cool completely before storing or serving. 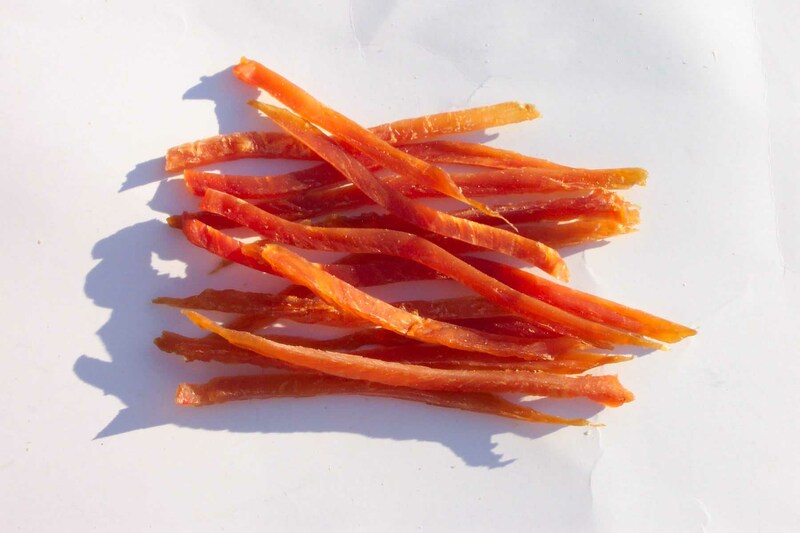 The chicken jerky strips can be kept in an airtight container in the fridge for up to two weeks. When it’s hot outside, it’s good to have cooling treats handy for your active puppy. 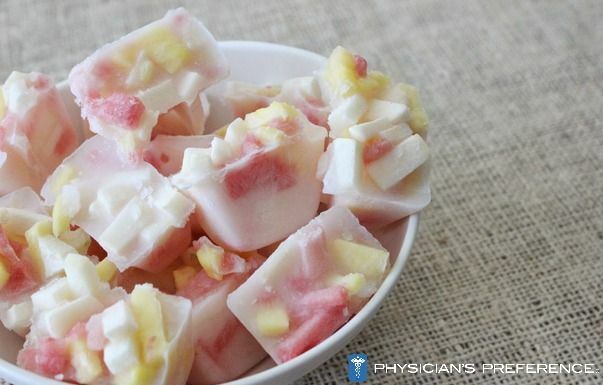 These healthy frozen treats are great for warm summer days, after a play session, or a walk. Puppies need healthy food during their formative years to ensure that they get all the vitamins and nutrients they need for growth and development. By making food for your puppy at home, you can control what foods they eat, and consequently, what nutrients they receive. Making homemade dog food is also a far healthier alternative to store-bought, processed foods. Here are some easy, healthy, and nutritious recipes for you to try out for your pup. Puppies have voracious appetites, and they typically eat more frequently than adult dogs. This hearty dog food recipe is loaded with grains, protein, and nutrients and is sure to satisfy their hunger. As opposed to buying cans of wet food at the pet store, why not make your own version of moist, nutrient-packed dog food? This beef dinner contains loads of proteins, in the form of both eggs and meat, so that your puppy can grow strong and healthy. It’s also packed with nutritious vegetables and grains which makes for a balanced meal. Here’s another food option that is packed with protein. Growing puppies need protein so that they can remain healthy and active. 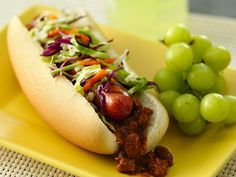 This chili for dogs not only has fresh meat, it also has protein rich beans. Ah, broccoli; the vegetable that everyone seems to have a love-hate relationship with. You may have refused to eat it at one point in your life, but chances are, you’re now a big fan. Broccoli is a vegetable loaded with nutrients, calcium, and vitamins. This recipe makes good use of this powerhouse of a vegetable to give your puppy a well-balanced meal. Some fruits are very good for dogs such as berries, apples, and melons. There are also fruits that dogs should never eat, such as grapes and fruits that they don’t care for, such as citruses. By incorporating some dog-friendly fruits into your puppy’s meals, you can boost their nutrient intake. In a large bowl, toss together all of the ingredients and store or refrigerate for up to 5 days. 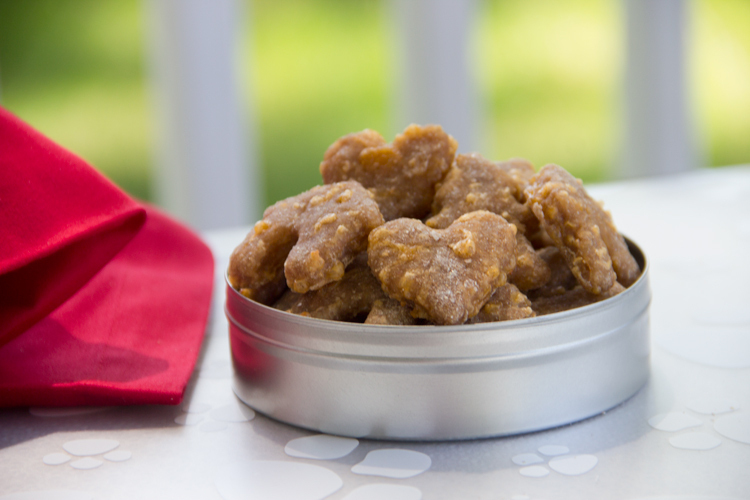 Making your own homemade, organic puppy foods and treats can go a long way in ensuring the health of your puppy. In these formative years, it’s important to provide your puppy with wholesome foods which are packed with the nutrients they need in order to develop and grow. Organic meats, poultry, vegetables, fruits, grains, and dairy contain the necessary vitamins and nutrients needed for wholesome meals for your puppies. These easy and healthy recipes are also cost effective, and can be stored in your refrigerator for use over a couple of days. Feed your puppies healthy, organic foods and treats and watch them flourish and grow.